The Gilded Age mansion at the southwest corner of Calvert and Biddle Streets, like any great mansion, has a past full of stories and interesting characters. It was built in 1891 for Theodore Hooper of the Hooper family that made their fortune manufacturing cotton duck three miles up the Jones Falls in Woodberry. Architect Charles Carson, a founder of the Baltimore Chapter of the American Institute of Architects, designed the home. Carson was close to the family. He designed the mansion for Theodore’s brother James across from Goucher Hall (Baltimore Lab School today, 2200 St. Paul St.), which Carson designed for the Woman’s College of Baltimore and which the Hoopers helped fund. Theodore Hooper died in September 1906, and by November, the home was sold to Richard White, a merchant who did much of his trade in Indian burlap. The Whites were an elite Baltimore family whose members could be found in the society section of the Baltimore Sun and serving as trustees of venerable Baltimore institutions. Richard was a great-nephew of Johns Hopkins and a keen golfer who led the charge to establish the first golf club in Baltimore. He didn’t stay long at Calvert Street. Within a year, he handed the home off to his brother Miles White, Jr., a banker. The Whites lived at 1128 N. Calvert Street for eleven years. His wife, Virginia, was an avid collector of antique American silver and furniture. Much of her Maryland silver collection went to the Baltimore Museum of Art. In 1938, she saved the Hammond-Harwood House in Annapolis from dissolution and acquired much of the furniture for the colonial masterpiece designed by William Buckland. She was president of the house museum until her death in 1954. Their daughter Sara loved dogs. Sara owned a wiry Welsh terrier (that could be found in the classified ads under the title “lost dog” from time to time), a Russian wolfhound and Pomeranian. 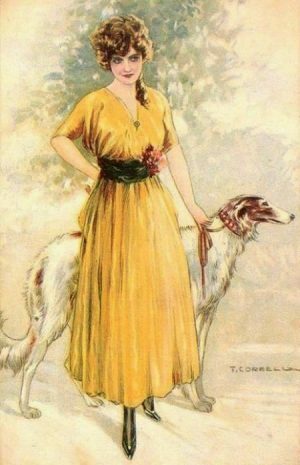 When a major North American dog show came to town in 1912, Sara was one of many high society dog owners who entered her pups in a field of 550 contestants. The following year, the Sun covered her as one of the debutantes of the season. The Whites moved out in 1928 and the mansion passed to lawyer James Clark Murphy, who soon sold it to the Society of St. Joseph of the Sacred Heart in 1929. 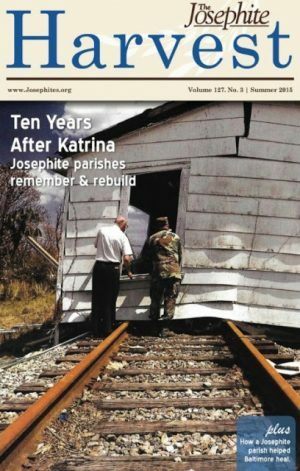 The Josephites had been in Baltimore since 1871, a Roman Catholic Order devoted to missionary work for African Americans. The order originally worked out of a former hotel on Pennsylvania Avenue and began to set up parishes and schools during a time when institutions were completely segregated and few education opportunities were available to African Americans. The Josephites converted much of the building to office use, but kept the mansion intact. They published the Harvest, the order’s magazine, out of the building. The publication became a major chronicle of the order and the issues facing African Americans from Reconstruction onward. The Josephites worked out of 1128 N. Calvert Street for 87 years.They grew to establish schools and parishes throughout the South and in Baltimore established St. Francis Xavier, St, Peter Claver, and St. Veronica. The Josephites lifted countless Baltimoreans including those who became leaders in city and state government. 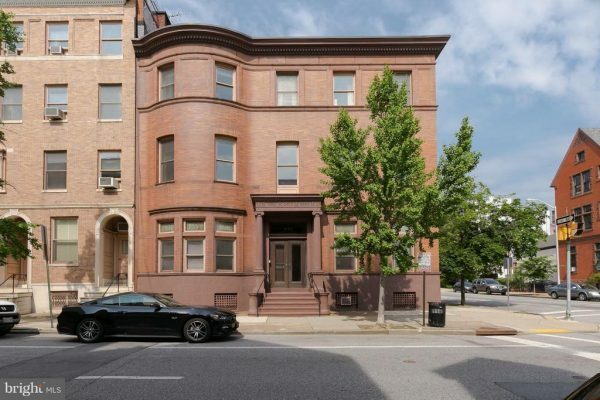 The order moved out of 1128 N. Calvert Street in 2016 and the building is currently on the market.